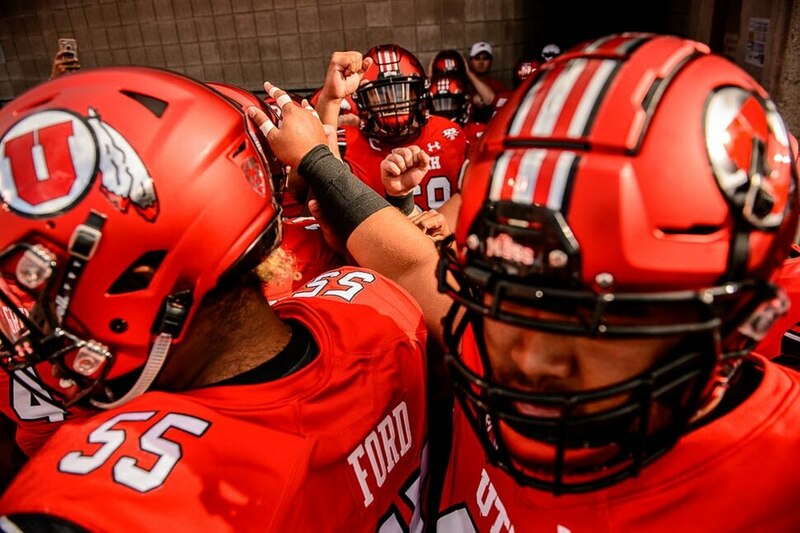 Utah launched the school's 125th season of football with a vintage defensive performance. The Ute offense evolved slowly, going from grainy footage to moments of high-definition sharpness in 60 minutes Thursday night, eventually resulting in a 41-10 win over Weber State at Rice-Eccles Stadium. In a homecoming game for Weber State coach Jay Hill, a former Utah player and coach, the Wildcats posted only 36 total yards in the first three quarters and 61 for the game. A defensive effort that coach Kyle Whittingham labeled “smothering” resulted in the third-lowest yardage total ever for a Utah opponent and the fewest yards the Utes have allowed in 65 years. Weber State, ranked No. 8 in the FCS, “came out of the gate not intimidated and excited about the atmosphere, and then we proceeded to get our butts kicked,” Hill said. The Wildcats recorded three first downs and their only touchdown came via a 2-yard drive after an interception, giving them a 10-0 lead after 10 minutes. “We were awful,” Whittingham said. The Utes got better offensively and never wobbled defensively. Kaden Jenks, Weber State’s redshirt freshman quarterback, completed 5 of 22 passes for 13 yards, while facing a Utah defensive scheme that was “nothing exotic,” Whittingham said. The Utes were credited with 11 tackles for loss (three by defensive tackle John Penisini and two each by linebacker Chase Hansen and end Mika Tafua), and 12 of Weber State’s offensive series went three plays and out. “It just felt like what we’re supposed to do — go out there, get off the field, put the [Utah] offense on the field,” said Ute safety Marquise Blair. Having taken a 17-10 halftime lead, the Utes pulled away in the second half, sparked by receiver Britain Covey’s 38-yard run that came straight from his famous highlight reel as a high school quarterback. That led to Zack Moss' 9-yard touchdown catch, followed by Tyler Huntley’s 24-yard TD pass to Siaosi Mariner after Mitch Wishnowsky ran 11 yards for a first down on a fake punt. Freshman tight end Brant Kuithe then caught a 29-yard TD pass and Matt Gay made his second field goal. The Utes' failings in the first half included a fumbled punt, an interception when Huntley was hit as he threw, a field goal that was blocked and a fourth-and-1 run that was stuffed. Utah earned its halftime lead as Moss ran through a big hole on the left side for an 86-yard touchdown, the fourth-longest run in school history. The first half hardly resembled Utah's 70-7 win over the Wildcats five years ago, though. In their Pac-12 era, the Utes had allowed an average of 7.8 points in six games against Big Sky Conference opponents, and Weber State's takeaways led to 10 points in the first 10 minutes. The Utes had issues with pass protection in the first half, a year after ranking 118th in the country in sacks allowed. And when Huntley did have time to throw, he had trouble connecting with his receivers. Huntley missed a wide-open Cole Fotheringham in the end zone (after the tight end caught a first-quarter TD pass) and Samson Nacua dropped a pass with room to run after a well-designed route. Weber State’s defense, personally coached by Hill, deserves some credit for Utah’s inconsistency on offense. But the Utes got going in the second half, posting 327 yards. 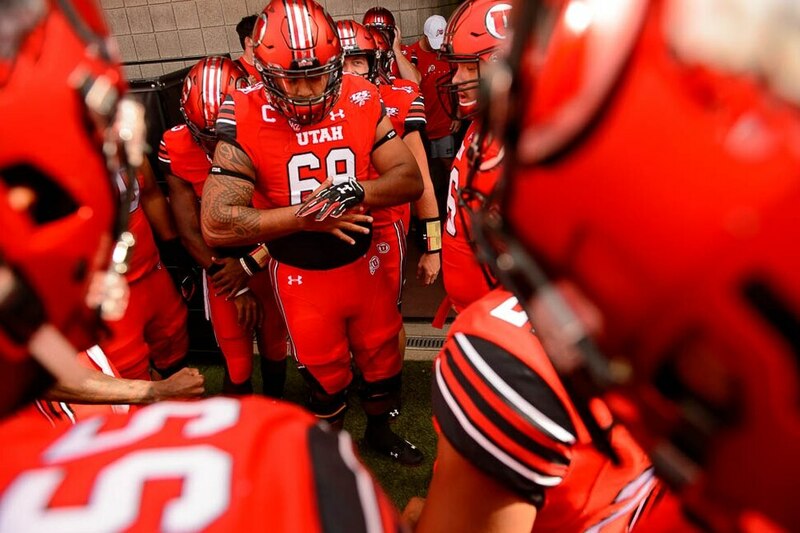 “I thought Utah did a phenomenal job of sticking to their game plan,” Hill said. Utah's passing game was sharper in the second half, especially Huntley's laser to Mariner over the middle for a touchdown. Huntley was 14 of 20 for 157 yards and three touchdowns after halftime. Without naming any players, Whittingham was disappointed with some of Utah's receivers. Mariner and Covey each caught six passes, so they're probably exempt. Whittingham liked the work of the freshman tight ends, Fotheringham and Kuithe, and freshman receiver Solomon Enis, who made two catches. 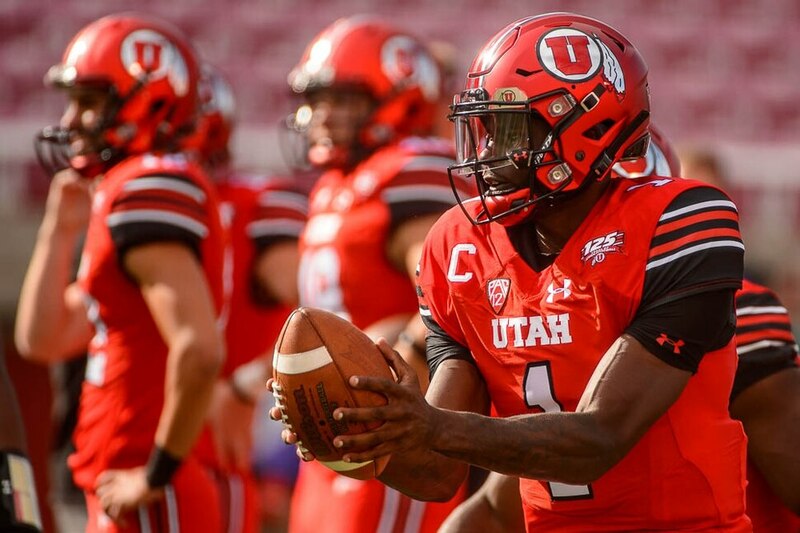 Other young players, including running backs TJ Green and Devin Brumfield, also got opportunities in what’s likely to be the Utes' easiest game of the schedule. Utah visits Group of Five power Northern Illinois next week and meets Pac-12 favorite Washington on Sept. 15.